#1058 One of the most threatening dangers to evangelical Christian churches today is Freemasonry. The urgency of this subject lies in the fact that many governing positions in today’s evangelical churches are being filled by those who practice Freemasonry-quite possibly including the pastor of your church! How much of Freemasonry has infiltrated our churches? 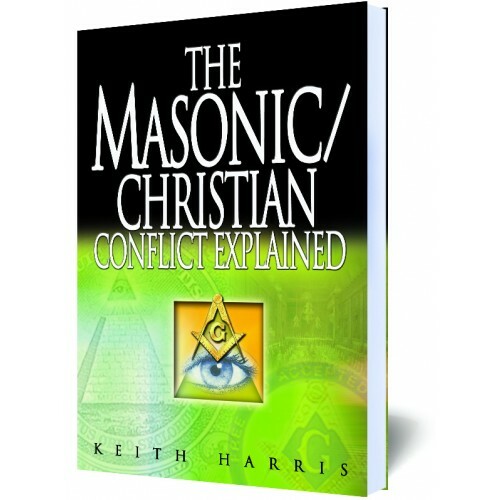 Why are Masons allowed to retain their positions of leadership in our churches? Why is Freemasonry touted as a harmless fraternal organization when its roots are steeped in mysticism, magic and murder? These are just a few of the many questions author Keith Harris answers in The Masonic/Christian Conflict Explained. We must take this issue seriously if we intend to take back our churches from unbelievers.